[Melbourne : National Game Company, 1911]. Lithograph, printed in colour and gold ink, measures 750 x 1010 mm (sheet), folded to 190 x 260 mm; addressed on reverse to C. G. King Esq. of Hawthorn (Melbourne), with stamp postmarked 8MR11 [8 March 1911], pencil annotations ‘April 1911 5225′ and ’72 Ludo 2; 36 Courtship 1; 36 Snake 1; 18 Drafts 1/2’; wear and splits along the folds, else very good. 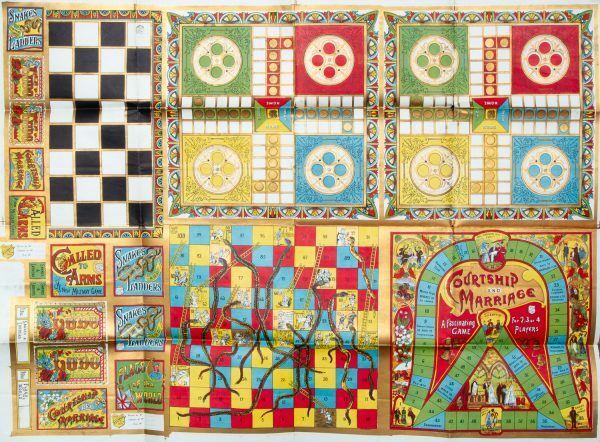 A rare printer’s proof for the game board and box designs for a Compendium of Games published by the National Game Company in 1911, and addressed to the company’s chief designer Christopher George King. 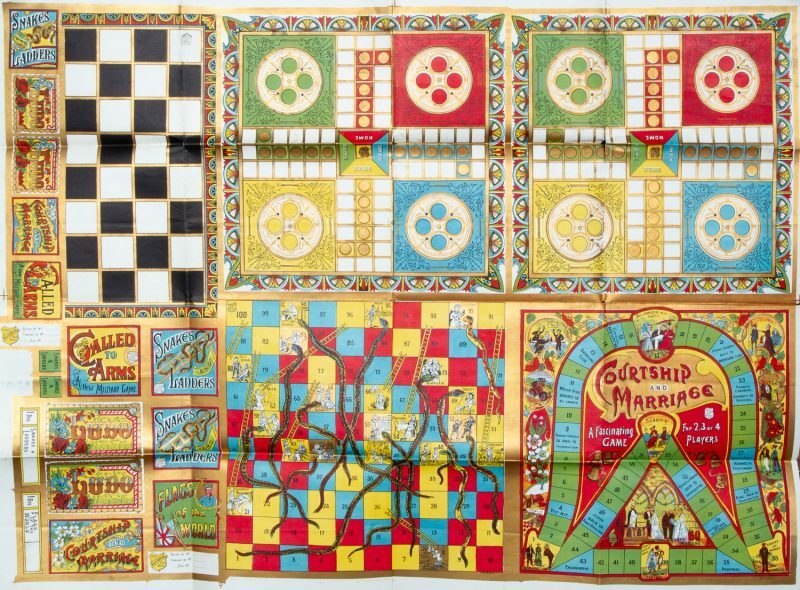 ‘National Games of Ballarat and Melbourne produced a wide range of games mainly during the early half of the 20th century in Australia. The company had its beginnings in Ballarat by W. Owen in 1877, growing to prominence towards the end of the century and has been credited to have been the first large-scale Australian manufacturer of locally-designed board games. Application for the actual trademark name National was recorded in 1899 by Christopher George King. Games were often related to Australia’s love for recreation and sport; such as cycling, golf, football, tennis and cricket, as well as various forms of racing such as motorcars, aeroplanes, horse or yachting. 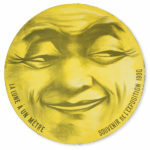 Contemporary themes of the period produced games such as the exploration of Antarctica, World War I, the Boer War and the boy scouts. 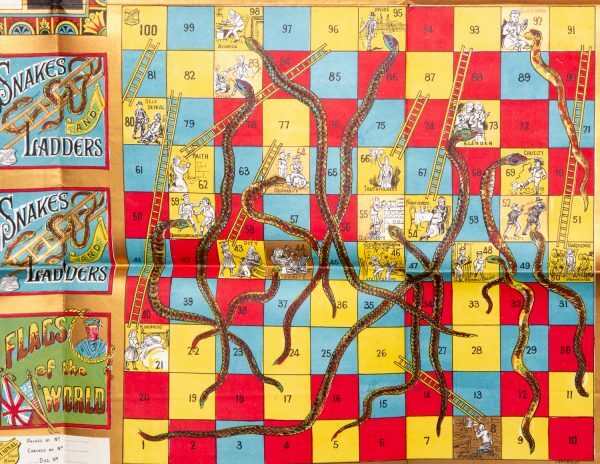 Games that reinforced the moralilty of the times included courtship and marriage, snakes and ladders and Fairytales and fables. The design of the boards was colourful and attractive. Many of the games were obviously re-vamped over time with more suitable modern graphics for the changing eras. Christopher George King has been acknowledged as the designer and manufacturer of the games made by the National Games Company. 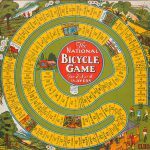 He designed the board games from around the early 1900’s till the late 1920’s and copyrights can be found in the National Archives of Australia. He is listed in the Victorian electoral rolls as a manufacturer living in Melbourne during the early part of the 20th Century. He was born in England, and died at the age of 63 in 1928.